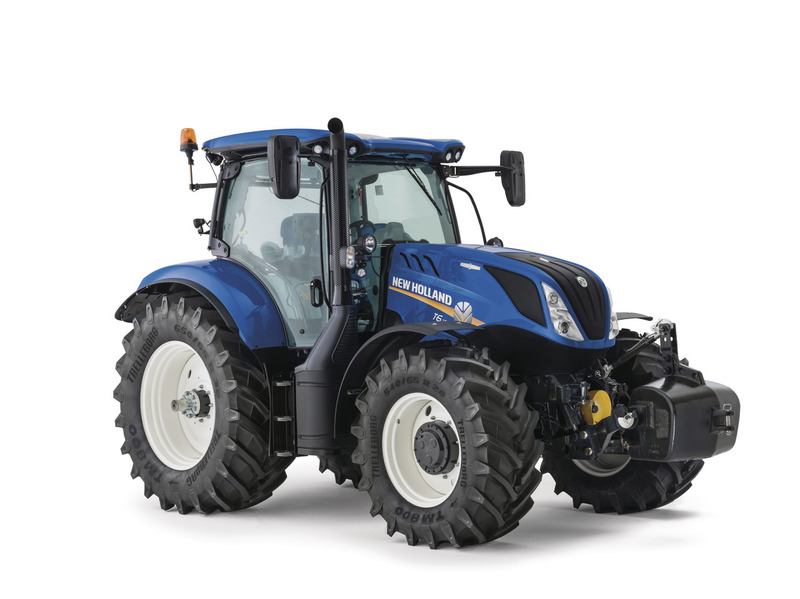 Buyer's guide: Fancy a Komatsu excavator for general farm use? 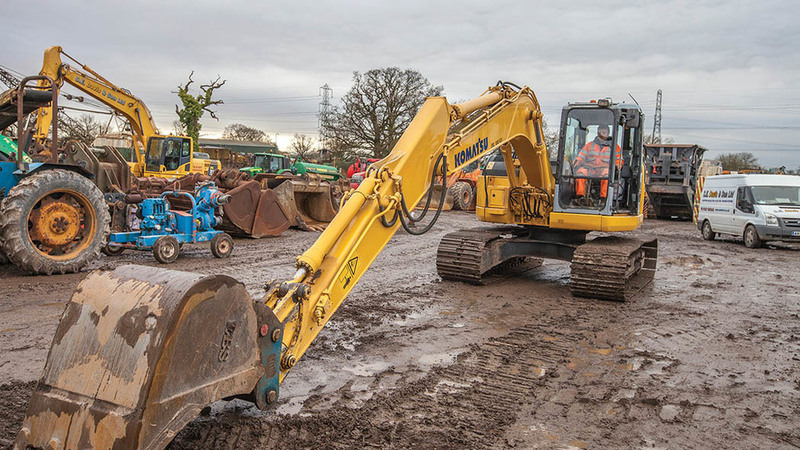 If you fancy an excavator for general use, there is plenty of choice in the 13-tonne sector, but what should you be looking for? 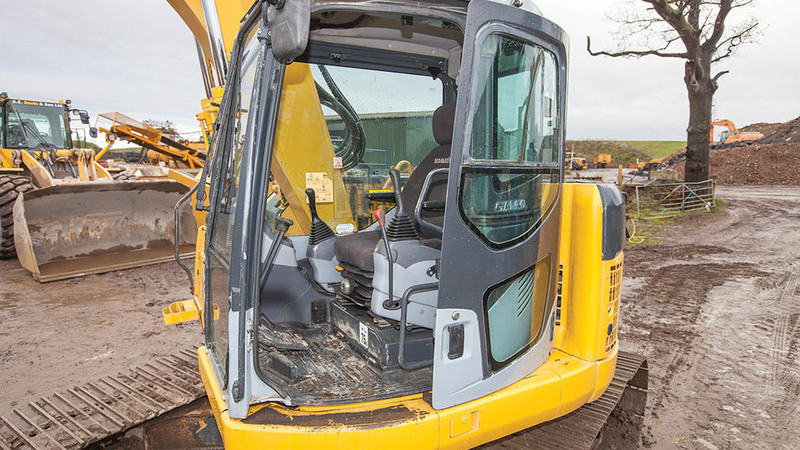 Geoff Ashcroft takes a look at a popular Komatsu PC138US. With a range of excavators from one to 300 tonnes, it is fair to say Japanese construction machinery firm Komatsu knows a thing or two about diggers. One of its more popular models is the PC138US. It sits in the 13-tonne category, but offers a short rear radius, which means the counterweight barely sticks out over the tracks. Compared to the firm’s regular PC130, the short radius model is much easier to work with in confined spaces without worrying about what the back end might bash. Ideal then, for occasional farm-based operations. The PC138US is still a current machine, but now carries a dash 11 suffix, along with all the emissions-based paraphernalia associated with it. This 2005 model PC138US-2 was sold in the UK from 2000-2006, until the PC138US-8 rolled in meeting EU Stage 3a regulations with common rail fuel injection, a revised turbocharger and a couple more horses, along with a lower working noise level. Little has altered over the years. In the change from dash 2 to dash 8, the latter machine gained better sound insulation, larger mirrors for better visibility, and the switch from emery-paper-type non-slip floor plates to a punched-plate design. You might also find one with an optional dozer blade on its undercarriage. Field service engineer Dale Gilberston from UK distributor Marubeni-Komatsu guides us around this 12-year-old, 5,000-hour PC138US-2. Almost buried inside the counterweight is a Komatsu four-pot turbo diesel pushing out 88hp for the PC138US-2. 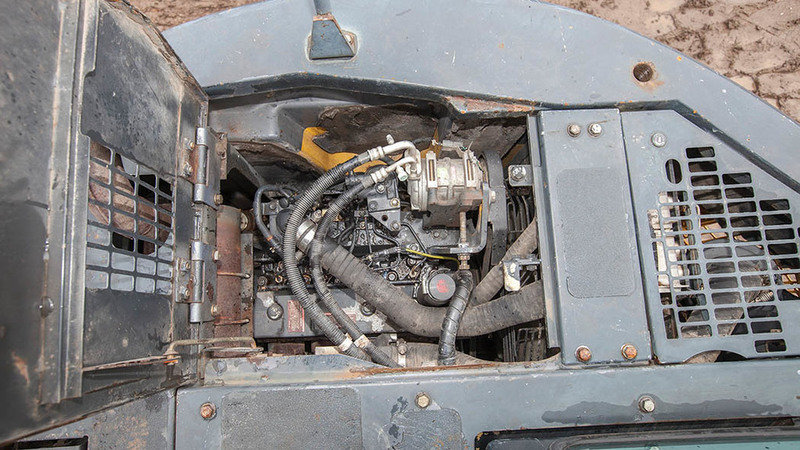 You will need to climb up the off-side front and onto the top of the machine to lift the bonnet and peer inside. This one is a Stage 2 complaint unit, and is not burdened by EGR valves, DPF, SCR catalyst or common rail injection. It is also has a non-variable geometry turbocharger and the mechanical fuel injection pump is cable controlled, but uses an electric throttle controller in the cab. However, the mechanically straight-forward four-pot can suffer blow-by if not worked hard. Mr Gilberston says: “It usually points to piston rings and bores, but most should have been sorted during their lifetime while under warranty. He says you should not fear a high-hour machine if it has been well looked after and worked hard. The life-blood of an excavator is its hydraulic system. And there are 70 litres inside the PC138US-2. A sight glass lets you assess oil level and the colour, with the latter being a good indication of oil condition. Dark hydraulic oil suggests it might have over-stayed its welcome, and is also an indication the oil has become hot. Operate the machine and listen for pump noise when carrying out several functions at once. The hydraulic system is not the quietest of machines, but a screaming pump under heavy load can suggest cavitation and a loss of hydraulic power. Mr Gilberston suggests putting the bucket on the ground at the side of the tracks and easing one track off the ground. He says: “Run one track for a minute in either direction and cycle the track speed change to make sure it works. Operator space is a compromise with short-radius excavators, simply because there is a lot to fit on a smaller upper-structure. With low pressure pilot controls, he suggests looking for oil below the joysticks. The dash 2’s monitor was superceded by a 7in TFT version in the dash 8 model. Check functions work as they should. The PC138 also gets a tin roof hatch with window glass. They are known to collect water and can rot through. The PC138US-2 will most likely be sat on 600mm wide, triple grouser track shoes which bolt onto a track chain. Each assembly wraps around a frame which uses seven lower rollers and one upper track roller, with a drive sprocket at the rear and an idler at the front. If the machine has done very little running about, track pins can seize and adjacent track shoes will sit in a ‘V’ formation. Mr Gilberston says: “Look at the drive sprocket teeth for an idea of how much life might be left in it. If teeth are thin and sharp, it will need refreshing. 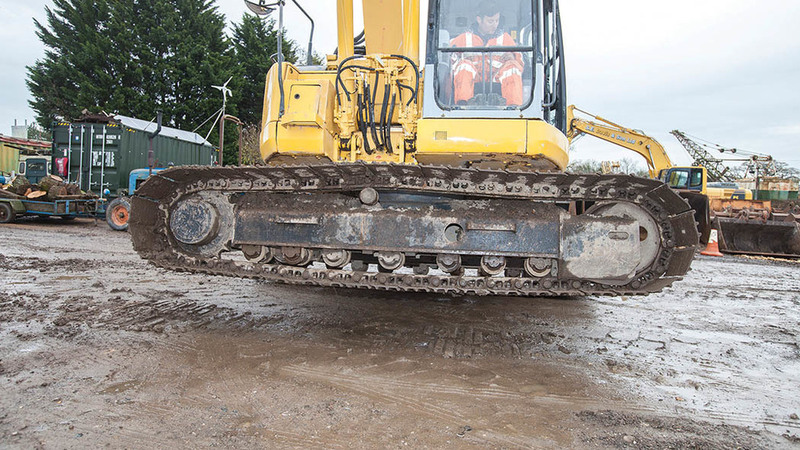 He says lift one track off the ground at each time to inspect the rollers: “Track rollers can seize, but they can also suffer from collapsed bearings too. Track tension is achieved by pumping grease into the track tensioning cylinders. The business end is where you will find the bucket, arm and boom. And all joints are connected using pins and bushes. If not greased regularly, there will be wear and free-play aplenty, though some play is inevitable. The PC138 uses a 4.6-metre one-piece boom and the longest arm which could be fitted. In this instance, a 3m unit, which gives a horizontal reach of 7.8m and a maximum dig depth of 5m. It is a generous working range, but the compromise is a smaller bucket than you might expect. Mr Gilberston says: “Again, place the bucket on the ground and gently move the joysticks to ease load on and off the machine. “You will soon see which pins and bushes are the most worn. Pay attention to the boom foot, as this will be a major job to replace. Pushing the arm all the way out and lowering the boom will make it easy to check ram seals and pipework and look for stress cracks around any of the boom and arm joints.